EBA newcomer C.B. 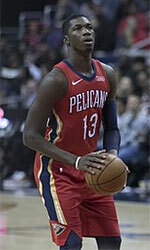 Aridane inked 24-year old American (has also Malian passport) power forward Nouhoum Bocoum (208-122kg-94, college: Arkansas State). He is not a newcomer in Spanish League as he played most recently at Lujisa Guadalajara Basket. In 30 EBA games in Spain he recorded 14.0ppg and 5.8rpg last season. 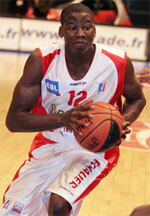 The previous (16-17) season Bocoum played at Zornotza (LEB Silver) where in 14 games he averaged 8.7ppg and 3.4rpg. Among other achievements Bocoum won NJCAA D1 Region XIV championship title in 2014. He received also NJCAA All-Region XIV 3rd Team award back in 2014 at his college time. Bocoum graduated from Arkansas State in 2016 and it will be his third season in pro basketball.